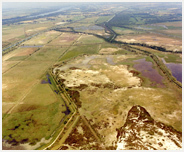 At the heart of the marshes, a circuit equipped with hides and observation towers : it’s the best visit to discover the diversity of bird species, and the great outdoors of Camargue. 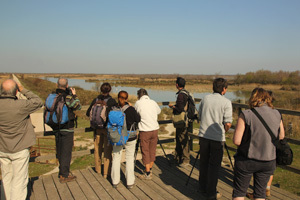 A guided tour in a nature sanctuary to discover the secret Camargue in the hides with a telescope. Shorter than hiking, this tour takes you in the sanctuary to the hides, to discover birds as you have never seen them before. In the period of 4 or 6 hours, it allows to meet the birds, to decode their behavior and enjoy the spectacle of nature. Hides and observation towers allow you to observe wildlife as close as possible. Duration: 4h or 6h – February to mid-December – Take your picnic for the 6h walk tour. This circuit can also be offered as a 9km hiking tour. Guided tours are accessible to a large public. A guide may be responsible for 25 people maximum. Beyond, a second guide will be provided. Take your picnic for the 6 or 7 hours hike.